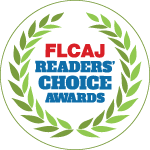 The Florida Community Association Journal Readers' Choice Awards Voting is now open! If you could cast a vote for us, it would mean the world! The process takes less than 2 minutes. Voting will run until December 15, 2017. Your vote really makes a difference in helping our company grow, so thank you so much!! !